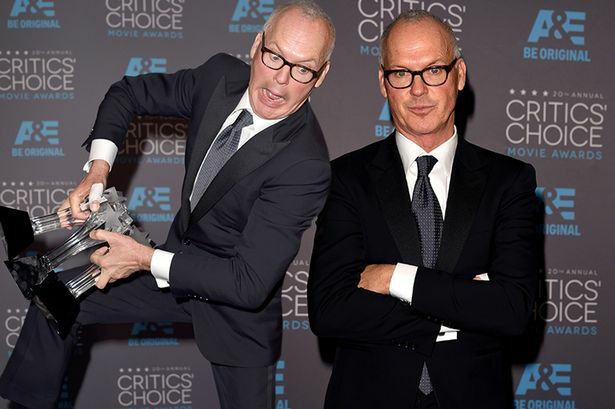 Oscar nominee Michael Keaton fell off stage at last night’s Critics’ Choice Awards ceremony. Michael Keaton, who collected two best actor trophies for Birdman at Thursday’s ceremony, later joked “that I took the Birdman flying thing way too far”. Boyhood drama walked away with the coveted best picture award. The Lego Movie – snubbed by Oscar voters earlier in the day – picked up the best animated feature award. Michael Keaton, who was fine after his fall from the stage, won best actor and best actor in a comedy, while Birdman also collected best acting ensemble and original screenplay among its seven-trophy haul. He was one of the five actors who had earlier learned they would be vying for the best actor Oscar. Julianne Moore, also an Oscar nominee, picked up the best actress for Still Alice, while JK Simmons was rewarded with a best supporting gong for Whiplash. The Critics’ Choice Awards is a rarity in rewarding the action movie genre, with Guardians of the Galaxy coming out on top in the category. Oscar nominee Bradley Cooper won the award for best actor in an action movie, while Emily Blunt took the actress title, for Edge of Tomorrow. There was also recognition for space saga Interstellar in the sci-fi/horror category. Richard Linklater won best director for Boyhood, while Patricia Arquette won best supporting actress. Both are Oscar nominees. Ellar Coltrane won the best young actor for his role in the film, which started its 13-year long shoot when he was just five and continued over the course of 12 years. The best song award went to Common and John Legend for Glory from the civil rights drama Selma.